Experimenting but staying in the furrow of traditions. 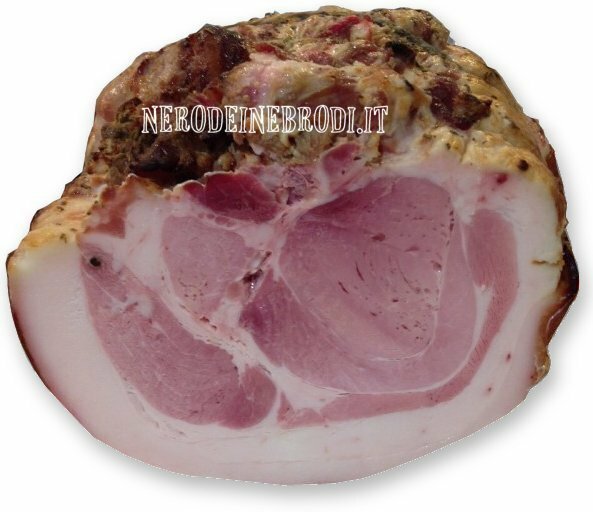 Nebrodi Black Pig Baked Ham together with Nebrodi Black Pig Mortadella are our babies. They are ready to steal the crown and the sceptre from the Nebrodi Black Pig Raw Ham. The Baked Ham is the young brother of the Raw Ham because it arise from the same meat cut. It is like a different twin. The ham thigh after manufacturing is baked for a long time and in a constant way. After baking we just need to season it with some good aromas. The last passage is to season it for about fifteen days and the Baked Ham is ready. Our Nebrodi Black Pig Baked Ham is excellent to give a special touch to your salted recipes, and you can use it as a secret ingredient for your sauces and for your condiments. Would you know another use? Bread with ham. What else do you want? Pane e prosciutto. Cosa potresti volere di più! Once opened, the ham should be preserved at room temperature. It is better if it is wrapped into a cotton cloth. It can be also preserved in the fridge, in the fruit place. In this case, before eating we suggest you to make the ham reach the ambient temperature.